100% of your body’s cells reactions need water. This happens every millisecond! A dehydrated body lacks energy, motivation and slows down reaction times. 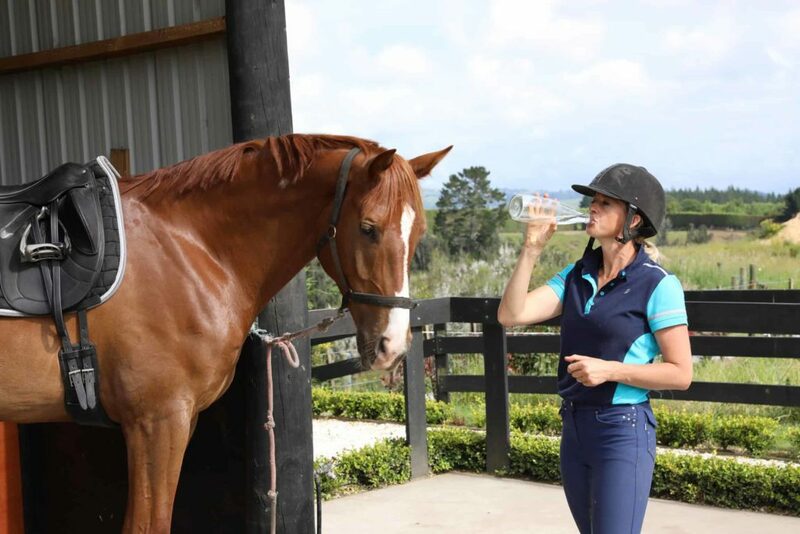 However, remembering to drink water throughout your day is a hard work and we know when it comes to our horses that hydration is crucial, yet when it comes to ourselves we tend to reach for the caffeine instead. 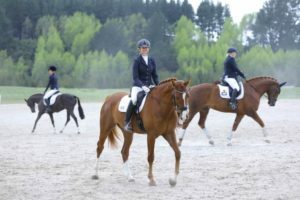 However what if I was to tell you that hydration could be that thing you are missing that helps you stay focused through to the last halt in your dressage test the day of an important competition. What if it helped you stay energized and alert and focused through every transition and what if it improved your reaction time and memory. What if in fact the water you were drinking could be enhanced to help improve your performance even more? 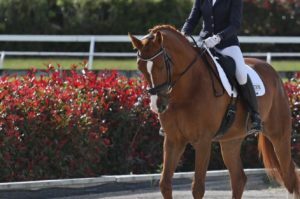 Today I want to share with you a little bit about water and how you can get the most out of it and use this knowledge to improve your riding. Thirst is a response that is triggered by decreasing blood volume. When this response occurs, the brain activates hormones and nerves to help reduce any further losses from occurring. This mechanism translates into a dry mouth and often the overwhelming need to quench our thirst. Other signs your body is experiencing the effects of thirst are headaches, dry lips and the feelings of lethargy and fatigue. The problem is that these biological responses occur after the body has already lost a lot of the fluid. In fact, when you experience thirst, your body has already lost an incredible 1-2% of total body weight, which could equate to in excess of one litre of water. It is a response, just as bleeding is to a trauma. When the feeling of thirst sets in, your body has already been compromised. Your nerves, muscles, and tissues throughout your body are dealing with the effects of fluid loss. And they are not happy and your bodies function slows down! To get specific we need .033 of our body weight in water per day. The rate you lose fluid is going to vary from one person to the next, as will the rate you lose water. Fluid loss will fluctuate from day to day depending on heat and exertion, not to mention the environment you are in and the water content of what you are eating and of course how much riding you may or may not be doing. You might find that you are drinking the recommended amounts, yet rushing off to the toilet regularly. That’s a clear sign that your body is not absorbing the fluid you are ingesting. You could be overhydrated or still dehydrated as the water your drinking may not contain any minerals. This means your cells are not being replenished and the fluid loss is still occurring. I will go into this in a bit. When you work out, your body attempts to cool itself down by sweating. Even though you might not have sweat dripping down your face, you will be losing a measurable amount of fluids and salts. Obviously, the higher the intensity of your training session, the speed of dehydration will increase. Keeping adequately hydrated before and after you ride is vital if you want to be functioning optimally. If you drink coffee or tea, you need to remember drinking these beverages is not a great way to hydrate your body. Although caffeine doesn’t trigger more fluid loss, it won’t help to restore any fluids and can cause you to go to the toilet more frequent. In fact, a hot tea or coffee may actually raise your core body temperature. The key is to be prepared and not to wait until the feeling of extreme thirst arises before you drink more water. Make sure drinking water is the first thing you do in the morning; remember you have just slept seven or so hours without any hydration. Get into the habit of having 500-700mls of water on waking with a squeeze of lemon or apple cider vinegar to set the digestion system up. Stay hydrated throughout the day – if you drink a coffee, have a glass of water too. Before you do any form of exercise or head out for a ride remember to hydrate and then follow it up with a generous amount of water after your training. If you struggle with drinking water, focus on its benefits, remember increased focus, reaction time and energy all the things we need to be a great rider. Mix it up by adding herbs like mint, some berries or citrus fruits to your drink bottle or try out my sports water drink below. Now the types of water we drink can play a huge role to, so I thought I would explain it in detail even more here. Natural water comes from a spring in the ground and it has minerals in it from the earth it has traveled through. These mineral are what helps the water osmosis through cells, rehydrate, detoxify and cleanse the body. Minerals are also delivered to the body when you drink this type of water. When we drink tap water, which contains other things like chlorine and heavy metals, all the minerals can be stripped down and the chemicals can affect your gut flora which can inhibit your absorption and assimilation of minerals. So how do we get the best water possible? First you want to have a good supply of water free from chemicals, but you need to add minerals to help the body absorb and replicate natural spring water. You can do this first by having a supply of filtered water and then adding with a pinch of Himalayan rock salt (not table salt!). This helps bring the water back to its natural state as if it was from a spring in the ground and the water is then able to get into your cells and properly hydrate your body, as well as, cleanse and detoxify it. When you just drink “naked” water, it can end up running through you all day and you will be on the toilet every 20 minutes. This is so common and one of the reasons some people avoid drinking to much water. You see you may be drinking loads of water but actually, your body doesn’t rehydrate properly and you end up still thirsty. The way you get your 2 litres in per day and rehydrate the body is by ensuring your water has minerals in it like nature intended. Try this. When you drink your morning drink as I mentioned above 500-750 ml add a pinch (approx. 1/8 teaspoon) of rock salt and lemon in it or apple cider vinegar (the lemon helps set the digestive system up and support liver). Drink all of it, and then feed horses, ride, walk, shower etc, then have your breakfast. Have another 500-750mls mid-morning again with a pinch of salt to set yourself up for the rest of the day. The key is to make this a habit and its better to stay hydrated, then it is to try and rehydrate a tired exhausted body in the afternoon. Just as a side note, aim to have your water 30 minutes away from a meal to help improve hydration and also digestion of your meals. The added salt is also great for adrenal support and will provide a natural energy boost your body may need. It’s natures sports drink without the sugar and your adrenals need both sodium and vitamin C to support them. So if you are tired drink this first before you reach for your next coffee or sugary snack. I love to make this up in the summertime and put in the fridge, as its, the best afternoon pick me up and perfect thing your body needs in the mid-summer heat. The key is to set yourself up with some triggers that remind you to do this and before you know it, it will become a habit and you will be more energized because of it. Another trick, before you head out to your day, fill up your water bottles with what you need for the day and have them with you. This will make it easier for you to remember to drink them and if its summer keep them in a chiller so you have this lovely refreshing cool sports drink to have in the summer heat. Perfect for competition days and great for instructors or riders on long clinic days. It’s important to know that too much sodium is bad for you and the sodium I am referring to is in the natural rock salt. Standard table salt is pure sodium, whereas rock salt and in particular himalayan salt has 72+ minerals, so you aren’t just getting sodium you are getting all the other supporting minerals to. Often when we remove packaged foods from our diets, we get rid of all the foods that contain sodium (preservatives) which is right because this type of sodium isn’t good for us. But we do need some, the key is the right sort. So try adding some salt to your water in the mornings and if you consume water around a meal, just salt your food as you normally would. The amount of salt varies from person to person and you shouldn’t taste it in your water, it just makes your water taste ‘thicker’ as if it has minerals in it. If you can taste the salt, add less. For me as around 1/8th teaspoon to 700mls of water. Natural spring water that is pumped from the earth is called artesian water. It contains all the amazing nutrients and minerals from the earth to help hydrate the body. These minerals are what are called dissolved solids when you are purchasing bottled water (see attached photo). 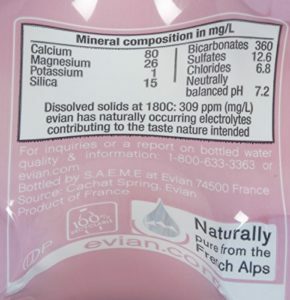 Take a look at the nutritional breakdown on the back of the bottle and you are wanting a high dissolved solid count, brands like Evian (although expensive) have high dissolved solids. So instead of buying bottled water we can replicate this at home and make your own healthy sports drink recipe by using filtered water and the dissolved solids (himilayan salts) added back in. Here is my afternoon pickme up sports drink that I aim to have most days, so much better than the bought sugary drinks and super easy to make. Remember to be smart about what you put into your body. What does it actually need? 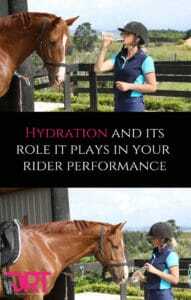 Take your hydration as important as you do your horses and notice how much more focused you can be. Make tea if using and use filtered water when making pour into bottle once brewed, or brew in bottle if using bags. Add juice and shake it up. Place in fridge and cool for when you need it. A simple sports drink for most days could be a simple as green tea brewed with lemon, sea salt, magnesium and lemon. Fast and effective. If you don’t have magnesium don’t stress, start with just the salt, water and some fresh juice. Its better than sugar!